The Early Show on CBS ran an interesting segment today entitled, 'The scent of a co-worker.' The spot revolved around new research showing that the scent one wears in the office can have a direct effect on co-workers. If they like what they inhale, they'll be happier and work harder. Conversely, if they don't dig your skin, they'll be grumpy and do less heavy lifting. 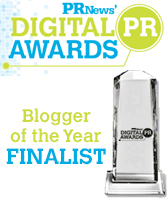 I must say that Ed's body odor, however pleasant, hasn't made me work any harder or smarter. That said, noxious odors have done a number on me and my co-workers over the years. In the dotcom days, for example, we employed a guy I'll call Smith. Sure as rain, Smith would saunter to the men's room every morning with the sports section of the New York Post tucked neatly under his arm. When he returned to his cube 10 or 15 minutes later, the grapevine would send out an urgent S.O.S. 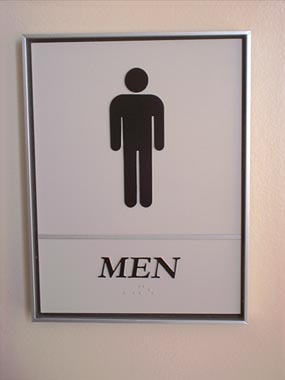 that the men's room had been 'Smithed' and should be avoided for at least the next 30 minutes. Longtime female employees tell me the distaff side had it own Ms. Jones to our Mr. Smith. She'd likewise level the ladies room and render it inoperable for the short-term future. – I was enamored by Drakkar Noir in the mid 1980s and applied it liberally while employed by an international consulting firm. One day, I was in a meeting with our CEO (a former NFL lineman I often mention in my blogs). In the middle of the meeting, this terribly intimidating hulk of a guy stops the dialogue, scrunches up his face and says, 'Cody, what the hell kind of girlie perfume are you wearing?' I told him. He scrunched up his face even further and shouted, 'Dracula who? Jesus, wear Old Spice like real men.' I was humbled to say the least, and made a beeline to the nearest drugstore to pick up some of the low-end O.S. – Quite a few years ago, I was leading an internal meeting when one of our female employees interrupted the conversation to say, 'Steve, you're wearing Axe!' I nodded and said, 'Yeah, my son, Chris, is home. I borrowed some of his and thought I'd give it a shot.' To which she replied, 'My husband wears it and it absolutely drives me wild!' Oh. So, on top of everything else, we now have to factor odor into all of the other tangibles and intangibles that make up one's image and reputation. Which makes sense. Because, to this day, whenever I enter our fifth floor men's room, I hesitate for a split second, wondering if anyone has 'Smithed' it. And, if you were Smith, how'd you like that to be your legacy? Cease and Desist to Warp Seven! For a short while, I had the hope that this year’s “Starship Peppercom” holiday card would be up for an academy award. The acting, stock graphics and stock music was award winning, not to mention the camera work, directing and editing. We created a holiday card to show our personality and have some fun… Much like the crew of the Starship enterprise, everyone on our management team has a different personality that meshes together to form a successful group. While we did use the theme of Star Trek and licensed costumes that we purchased online, we didn’t use the original intro music, name of the show, photos of the U.S.S. Starship Enterprise or photos of actors from any of the various Star Trek series’. The backdrop of the video was Steve’s office and our conference room. Unfortunately, as much as I love our offices, they look nothing like a space ship, and while Park Avenue can seem like a black hole sometimes, it isn’t! I am not a lawyer, and I can see where CBS’ “legal eagles” are coming from, but on the other hand, we no longer live in a world where there are strict boundaries in terms of extreme fandom and appreciation and copyright infringement. The whole internet thing sort of changed the rules didn't it? Is every Star Trek online forum moderated by CBS? If a fan run forum has online advertising on it, does that fan owe money to CBS? Look back to August of 2008, when a number of fans of the hit TV show Mad Men began tweeting on behalf of their favorite characters… AMC’s gut reaction was to file a Digital Millennium Copyright Act (DMCA) complaint with Twitter, to which Twitter responded by pulling down the Don Draper, Peggy Olson etc… character accounts. This sent fans into an uproar, and eventually AMC came to their senses, and realized that the fan Tweeting was actually just “free advertising” for their show. The new Star Trek movie has over 330,000 fans on Facebook, they have every episode from the original series on YouTube and there are countless Star Trek spoofs out there (including one on the G4 channel called Star Trek 2.0) from TV and the Web, and you can even “Trek Yourself" (see below). But there is one thing missing… engagement from the brand. My question to the Star Trek property is this: Will it hurt the franchise more to curb user generated content or to embrace it and converse with the passionate fans that are potential brand ambassadors? What would James T. Kirk and Jean Luc Piccard do in this situation?! Broadcast on CBS between 1953 and ’59, the series featured one-on-one interviews between the uber journalist become talk show host and celebrities from all walks of life. There’s John F. Kennedy, speaking from his Boston apartment just one month after marrying Jacqueline Bouvier in 1953. Another segment shows Norman Rockwell discussing his painting techniques from his Stockbridge, Massachusetts, art studio. A third follows Eleanor Roosevelt around her Manhattan apartment in 1954. There’s also Liberace, Marilyn Monroe, Sammy Davis, Jr., and so many other legends. Murrow’s ‘technique’ was to sit in his New York studio and, via newly-developed technology, speak to the celebrities directly from their homes. Person to person is a fascinating snapshot into a long gone America. It was a simpler time and Murrow served up simpler questions. There’s no antagonism, no hints of scandal or intrigue, and no discussion of anything other than blue skies and happy times. That said, the interviews are anything but bland. Murrow and his guests are direct, to the point and, dare I say it, humble. The watchwords of Person to person are civility, urbanity and compassion; three words that are nearly absent from any contemporary talk show. 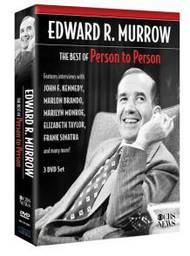 It may have been superficial in content, but Person to person reflects Murrow’s impeccable image of truth and honesty. Compared to the Jerry Springer’s, Howard Stern’s and others on our airwaves today, Edward R. Murrow is a breath of fresh air (despite his omnipresent cigarette).